Plugging up the leaks that allow cold air to slip into your house—and drive up your heating bills—is an important first step in creating an energy-efficient home. 40% of heat loss is thru infiltration of leaks often found around doors and windows, but they are more pronounced in your basement and attic. Below is our list of the best energy improvements you can make in order of payback. 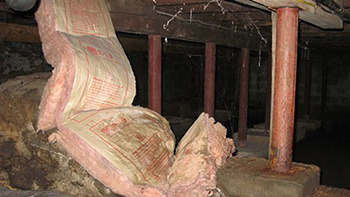 Adding insulation can help keep your home comfortable all year round. “It turns out that about half of the homes in the United States are under insulated,” says Kateri Callahan, president of the Alliance to Save Energy. But before adding insulation you should always look to air seal the floors first. In forced-air heating and cooling systems, ducts carry hot or cold air to different parts of home. The Environmental Protection Agency estimates that roughly a fifth of this air escapes through leaks. To address this headache, consumers can use duct sealant to repair leaks in exposed ducts, and insulate the duct if its in an unconditioned space; like your attic. 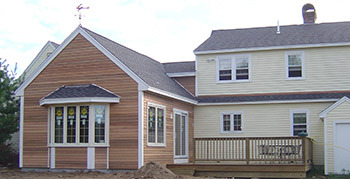 Replacing old, leaky windows with higher-efficiency models can also make your home greener. Instead of aluminum-framed models, Paul Zuch, the president of Capital Improvements, recommends that consumers go with wood. Bob recommends vinyl or fiberglass and a u value of less than .32. 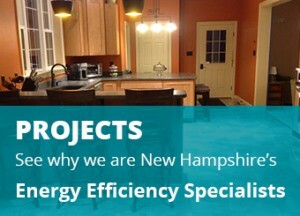 Changing out windows should be the last energy improvements you make to a home. When looking for energy efficiency, avoid hollow metal doors, says Celia Kuperszmid Lehrman, deputy home editor at Consumer Reports. “Any kind of hollow door is going to be terrible because the air is going to infiltrate right through,” she says. Bob recommends fiberglass doors, which are highly energy efficient and stainable. 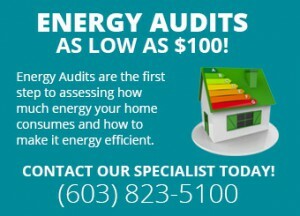 Replacing an outdated HVAC system with a more energy-efficient one can lower your monthly energy bills. But before considering this project, it’s essential to make sure your home is as well-sealed and insulated as possible. Consider whole house pellets if you have BB hot water of FHA, and geothermal if you have FHA or radiant heat. High-efficiency water heaters can drive down home energy costs. “Water heating makes up anywhere from 15 to 25 percent of the annual energy usage in a home,” says Steve Koep, a regional sales manager for Marathon water heaters. Consider a solar hot water system.